Those are the lyrics of an old yuletide song made popular by the late Andy Williams. However, if you don’t spend wisely it might end up being far from the “most wonderful time” for you. Christmas is one of the most popular times for impulse buying or making purchases without thinking them through.As the Christmas (shopping) season approaches, we can expect the massive advertising blitzes from companies and stores trying to lure every last dollar out of your pockets or bank accounts. Many persons tend to do last minute shopping or race through the shopping exercise which results in failure to properly think through purchases. 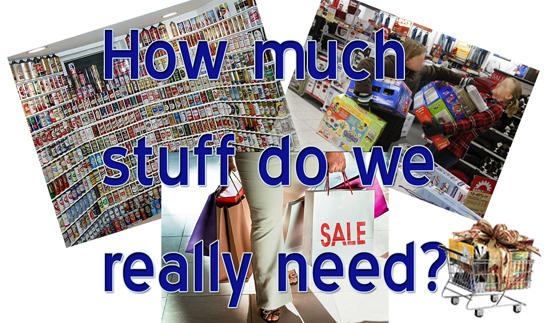 These, along with other factors, result in impulse buying which is making purchases without thinking through the needs and issues of the purchase. Here are my suggestions on how to avoid impulse shopping this Christmas. Before you swipe that credit card or splash that cash create a list. Know who you’re shopping for and know what you’re getting. Shopping can be done quickly and easily when using a list. The main reason that causes people to purchase on impulse is a lack of planning. Proper planning helps consumers avoid the impulse purchases. Making a list of the various items needed from groceries to the gifts can help develop a shopping plan and move beyond the need to purchase impulsively. Using a list offers focus and direction for shopping. Shopping early usually means less crowds and allows for making purchases at a slow calculated pace. Shopping during busier times only invites impulse buying. Many times people get into a rush to leave a store to avoid the crowd and start buying items quickly to be able to leave. Shopping during the slower times to avoid this problem and will allow you to remain focused on your list and the stick with their shopping plan. Shopping with sales in mind will help you avoid impulse buying by letting you think through the purchases ahead of time. Shop smartly by finding the right items at the best possible price or the lowest price. Sales usually are the best way to get the best prices out there. During the season everyone competes for your money by offering great deals. Keep an eye out for flyers, ads and TV commercials to help you find the best price on gifts. Another way to save money is to find various coupons – these are becoming increasingly popular locally and across the Caribbean region. There are special offers during the Christmas season to entice shoppers to spend money. Coupons help save money on those various items. Many times people only think about saving money on gifts. Search the papers and magazines for coupons for items such as holiday food items, gift wrap and other Christmas essentials. One of the biggest causes of impulse buying is forgotten items. Forgotten items cause people to make more trips to the store. Each extra trip to the store allows for additional impulse items to be purchased. Last minute items are also causes for impulse purchases. How many times have you or someone you know forgotten an item or needed something last minute and made purchases without thinking them through? “Too often”, invariably is the response to that question. Don’t become impulse shopping statistics; break the mold this Christmas. Why are we here? I’ve always wished to receive enough wisdom to answer that question. I posed this question to a wide variety of persons and we all came down to the most common and obvious purpose – to make money and die. Sounds morbid I know, but give it some serious thought. Virtually everything on the planet revolves around money, even religion, but I’ll get into that in another blog. 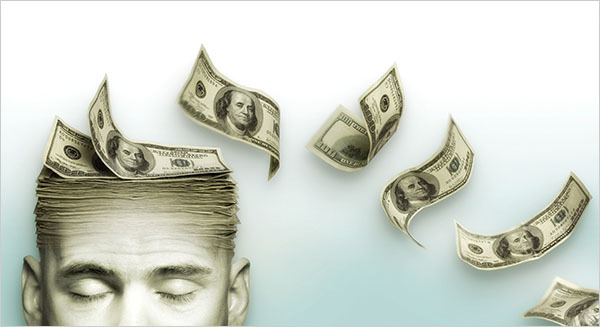 Mindless money-making machines is what many humans have become – slaves to money. What does a ‘good living’ mean? I’m sure we can all agree that it simply means being able to afford all the things you need to be comfortable while saving MONEY so you can retire in comfort. I recall how most parents wanted their children to study and follow ‘traditional careers’ like Law, Architecture, Medicine, Banking, Finance etc. The reason behind this was simple, people who practice in the above mentioned fields “mek money”. My reply was simply, “Mommy, I’m not doing it because of the money. It’s what I love.” It never went down well initially, but eventually she supported my decision. Money was the motivating factor behind many lessons our parents taught us and even the way they brought us up. If you got an ‘allowance’ or ‘pocket money’ from relatives when you got to a particular age it became tied to some element of work. Do your chores on time and without murmur then your wages, oops I mean ‘pocket money’, was guaranteed. Get good grades in school and you get a bonus. The lesson parents were teaching is that you must work hard for what you want. While that principle is honourable, it was subliminally securing our allegiance to the ‘MASTER’ – MONEY. Like little drones we’re brought up in a world where working for money and acquiring more wealth than others around you is riveted and wired into our brains and it sticks with us ’til death. Virtually everything you do or think of doing is has a financial cost which you consider before taking the next step. Think about it, we do it all for the money; if not for yourself, probably for your children or other members of your family. Our banking/financial system depends heavily on having people/organisations/countries in debt and that’s a sad way to live. Essentially what it does is create slaves. Slaves have no rights. Slaves are controlled by another. Slaves are obligated to do as they are told. So maybe we have rights, but we surely are controlled by money. Are you a slave to money? Think about it for a moment. It’s not just the “paper chase” or pursuit of acquiring lots of wealth that make money our master. If you’re currently in a position where you’re struggling to pay off debt which never seems to go away, that makes money your master. If your life is currently leaving you with very little wiggle room because of stringent financial arrangements, money is your master. We often get caught up by persuasive advertising campaigns which push easy credit and a mentality that you can have anything you want almost instantly, this is a route to making money become your master. We are its slaves because so many people have no choice but to work extra hours to pay for all the ‘luxuries’ they have consumed, or ‘making ends meet’ and who can forget a pesky lil thing called cost of living. Utilities, gas prices, rent or excessive monthly payments on a huge mortgage leave precious little breathing room in the budget. The list could go on, but I won’t depress you or myself any further. If we have wedged ourselves into a financial corner where the banks dictate to us where our money goes each pay cheque, then we are under money’s control. When money problems act as a constraint, yes, it has become our master.